Train journey to Zürich main Station or Zürich Enge. Tram Nr. 7 direction Wollishofen to stop Museum Rietberg. 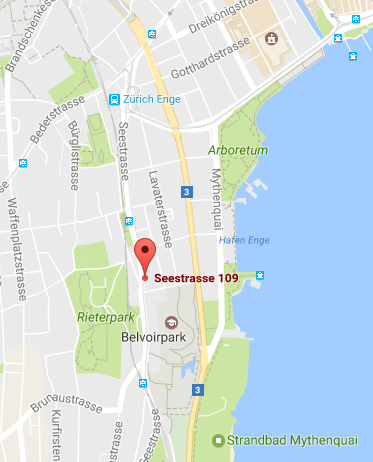 Short walk in tram direction to Seestrasse 109. There is no parking at the course Location. please use public Transport.